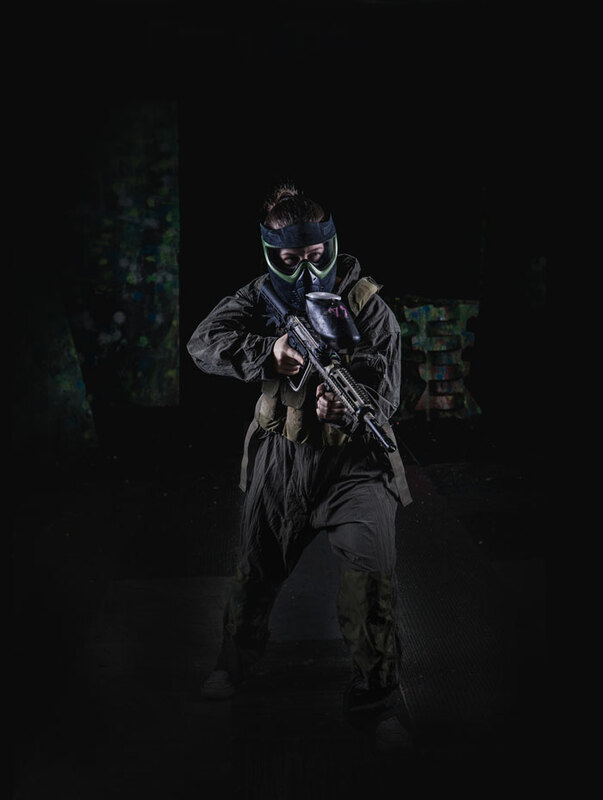 The BT-4 Combat is our standard issue paintball marker, lightweight and tactical, it is ideal for close quarter combat. High performance tournament paintball marker with electronic trigger. Increase your rate of fire. Increased range and accuracy. This military style marker is the ultimate weapon upgrade for urban combat. 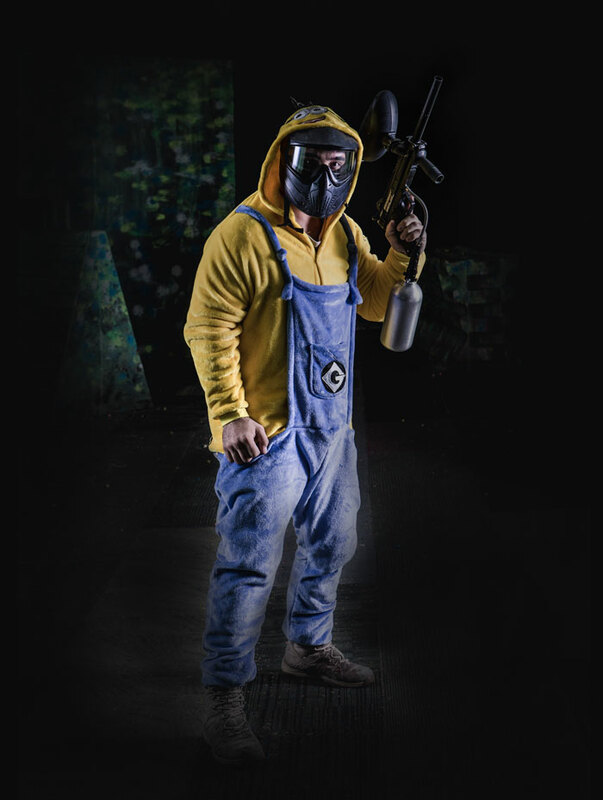 At Spec Ops, we use non-toxic, biodegradable and water-soluble paintballs that are filled with PEG, or Polyethylene glycol. 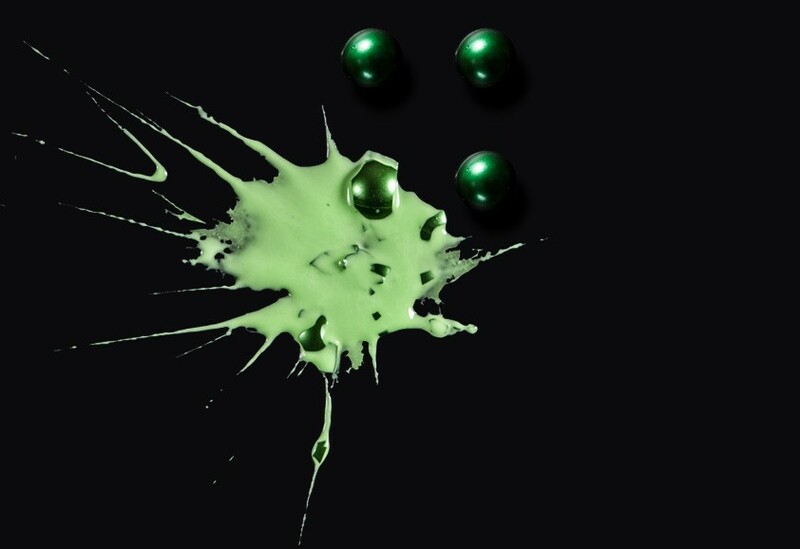 Not only are these paintballs environmentally friendly, the PEG-based paintballs have at thicker fill which is guaranteed to leave a mark when you hit your target. Although it won’t stain your clothes, it’s a good idea to wear stuff that you’re not fussy about. Look the part with a Spec Ops military grade camouflage flight suit. These suits are tough, practical and streamlined with a single zip closure. We offer a range of sizes and four different colours so you can easily differentiate friend or foe when you’re on the field. 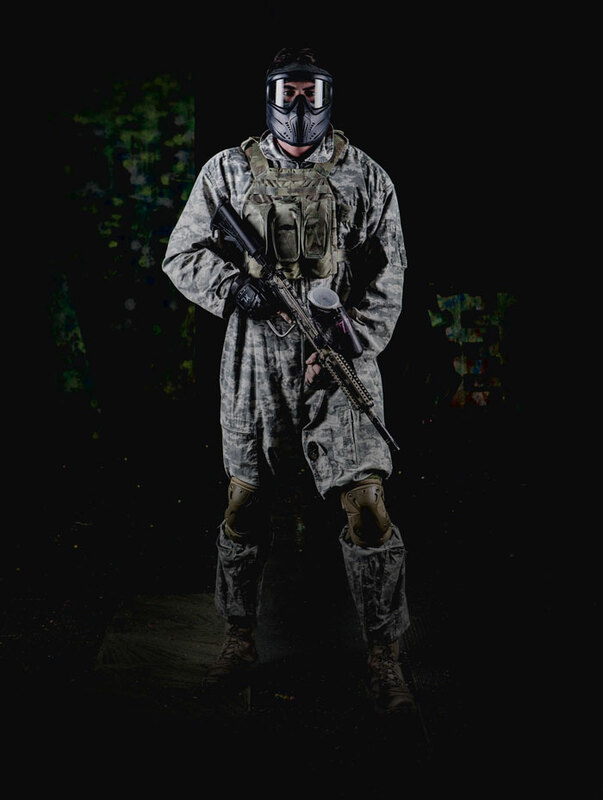 This mask has a thermal lens consisting of dual panes to stop the lens from fogging in the heat of battle. Don’t let anything obscure your view of the enemy. This facemask is a must. You’ll thank us later. The facemask has a 260° field of vision, built-in visor, adjustable head and chin straps and soft face foam for ultimate comfort. The half-finger tactical paintball gloves have a hard shell that will protect the back of your hands from the toughest hits. These gloves help to give you the dexterity to locate your ammunition and reload your weapon under fire. These ergonomic knee pads have reinforced foam padding for shock absorption and comfort. With superior abrasion and tear resistance, they’re adjustable and secure so you can slide without stress. Getting nipped in the neck isn’t fun. This padded covering is shaped for comfort with Velcro adjustment straps, ventilation holes and easy one-size-fits-all fitting. Nothing says fierce like Hello Kitty… If you’ve got a mate who deserves to look as cute as a button when they’re under fire, we’ve got a selection of adorable onesies to choose from. They get to feel pretty as a picture and you get to watch them try and look intimidating when they’re dressed as Pikachu. Priceless. If a onesie isn’t elegant enough, we’ve also got some tutus that are too, too beautiful. 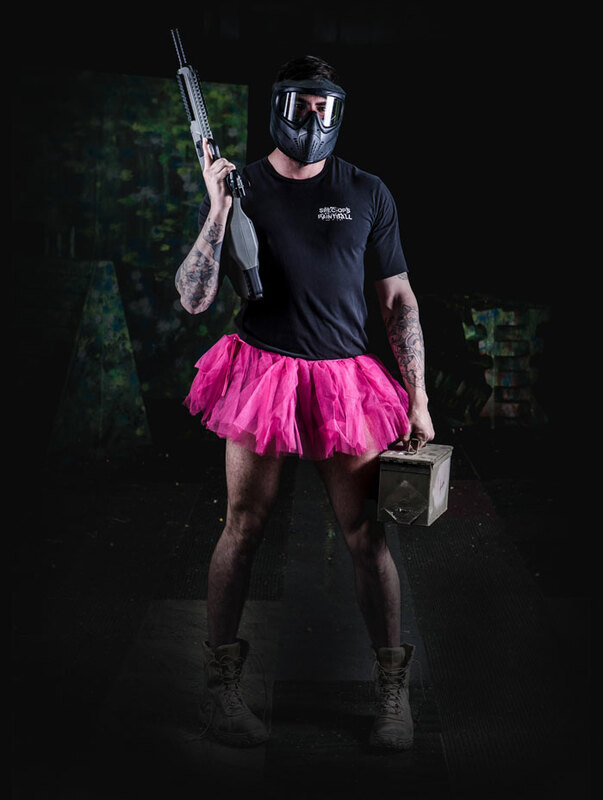 For your friends who are really ballerinas at heart, paintball and pirouettes are a match made in heaven. Remember, you’ll need to wear enclosed shoes to be able to play.